KUALA LUMPUR: The Environmental Impact Assessment (EIA) Report for the Kuala Lumpur-Singapore High-Speed Rail (KL-SG HSR) is ready for public viewing from today until Jan 25. 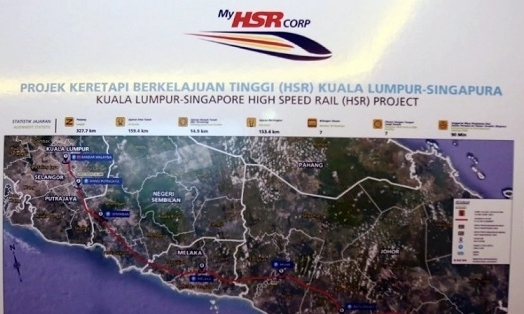 MyHSR Corporation Sdn Bhd (MyHSR Corp) said the report would be displayed at various locations, including the Land Public Transport Commission headquarters, Department of Environment (DOE) headquarters and DOE state offices in Kuala Lumpur, Selangor, Negri Sembilan, Melaka and Johor, as well as other local authorities’ offices along the KL-SG HSR alignment. “The public are encouraged to submit feedback and comments based on their review of the EIA report to the DOE headquarters before Feb 9,” it said yesterday. The EIA study covers various assessments, including air quality, noise and vibration, waste, water quality, coastal hydraulic, terrestrial and marine ecology, hydrology, geology, traffic, risk hazard assessment, public health and safety, economic evaluation, and visual aspects. Ahead of the public viewing, the EIA report was submitted to the DOE for review on Dec 13. The EIA report is prepared in accordance with the relevant legislation, guidelines and procedures established by the DOE for environmental impact studies of any new railway project. MyHSR Corp chief executive officer Datuk Mohd Nur Ismal Mohamed Kamal said the company had outlined the necessary measures to address and minimise the potential impact throughout all phases of the project, covering pre-construction, construction and operation. “We welcome feedback on the findings of the EIA report. “The report will then be updated to incorporate the feedback gathered, and presented and considered for approval by the DOE,” he said. During the public viewing period, copies of the report will also be on sale for RM4,000 each at the Minconsult Sdn Bhd’s office. The public can also view the report on DOE’s website at www.doe.gov.my and MyHSR Corp’s website at www.myhsr.com.my.